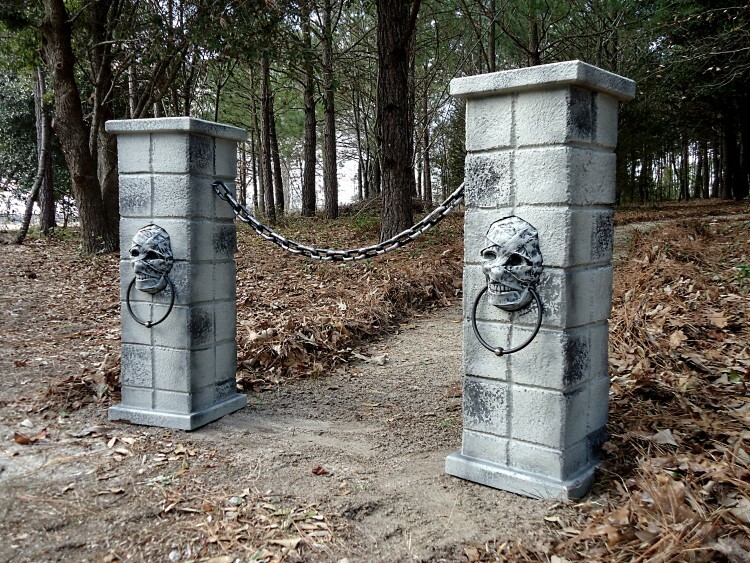 Transform your Home Sweet Home into a Haunted House with these Evil Soul Studios Mummy's Curse Gateway Columns. 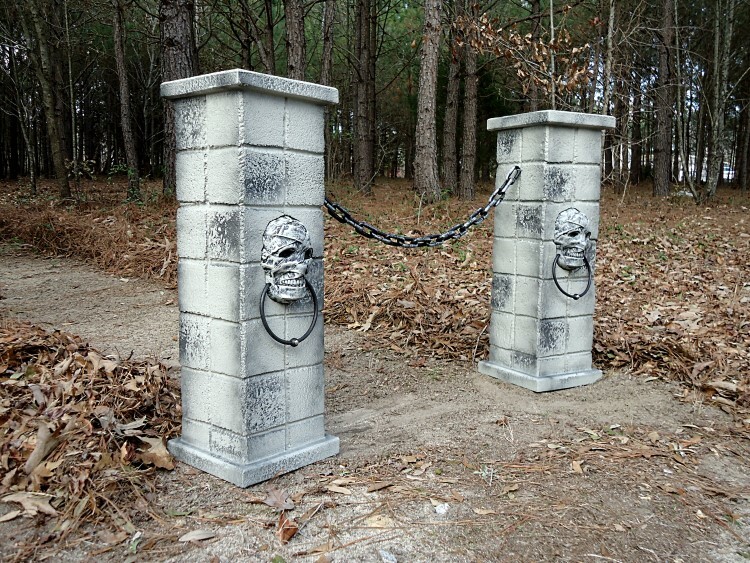 Includes two Mummy columns that can be attached together with included black/silver chain or chain can be removed to allow easy entry. 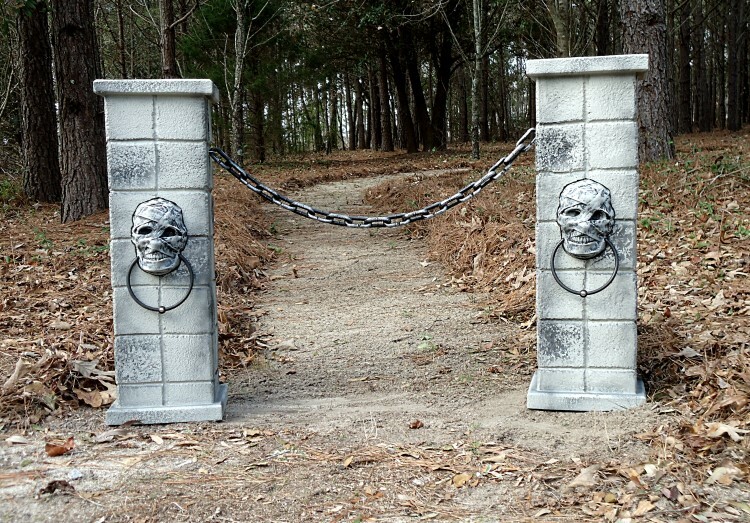 Buy several sets to line a walkway or just the two to mark any entrance. Each measures 31″H x 10.5″W x 10.5″D. Created to be as close to true size as possible for a realistic look without being oversized for shipping. Made from weather-resistant rigid foam for indoor -outdoor use and comes with galvanized steel stands. This is a must have for any true Halloween enthusiast. Each year we create a limited quantity and once they are sold out for the year, that’s it. Almost every design sells out each year so order soon before the one you want is gone. 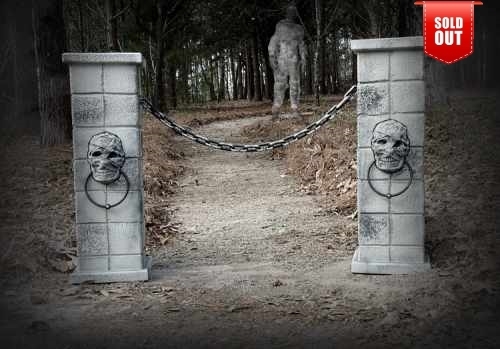 Be the first to review “Evil Soul Studios VMummy’s Curse Gateway Cemetery Columns” Click here to cancel reply.